The Air Freshener smelled terrible. This was a let down since I actually liked Labor Day Movie. I reviewed Labor Day back in February and you can read my review here. I don't wear glue on nails so i gave them to my daughter who got 2 days of wear out of them. While they are cute i wouldn't buy them. The Nivea lotion was better it was non-greasy, but you needed to use a lot and i've never been a fan of the smell of Nivea products. The Mascara took practice. The brush was an odd shape and it would use way to much product. And well tampons are tampons no matter what anyone says. This box was a dud unfortunately. I didn't like most of the box. The item I didn't receive, the Softlips cube I bought and found I really liked it. it would have tipped my like of this box to the favorable column. 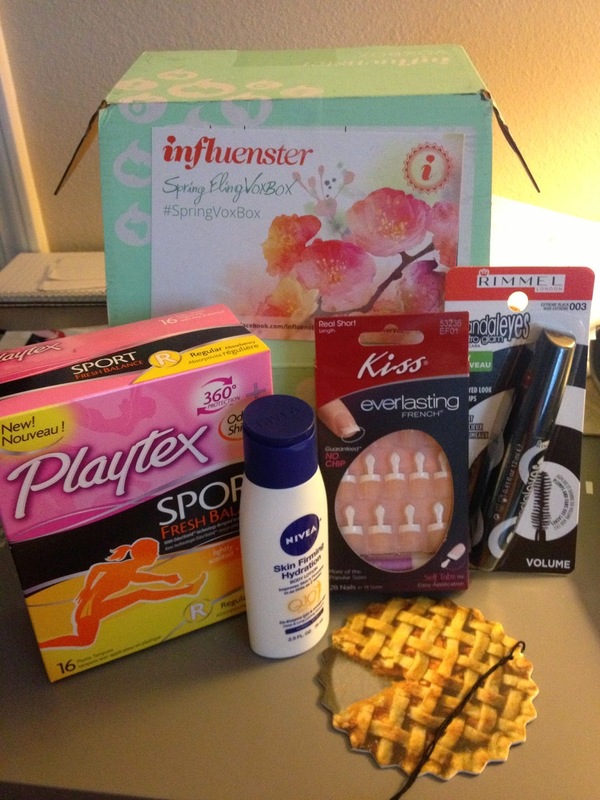 Disclosure: I received this box from Influenster for free in exchange for my truthful feeling after testing out all the items in the box.